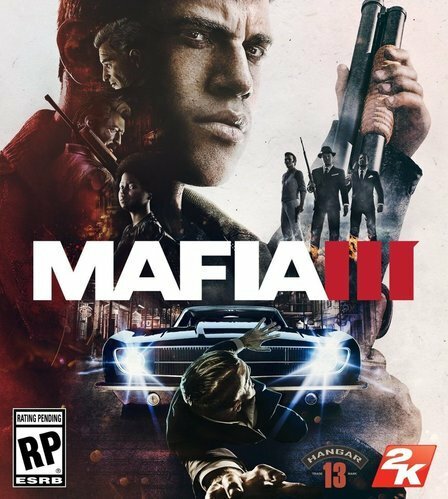 I'll start this post off by saying I don't hate Mafia 3, which is a currently common trend. Newly formed "Hangar 13" and 2K Games are getting a ton of flak for the newest open world crime game, due to uninspired game play and a plethora of bugs. I've been pumping a good amount of hours into the title and being 100% honest, I have encountered almost no bugs, but maybe I'm just extremely lucky. (I'm playing on PlayStation 4). 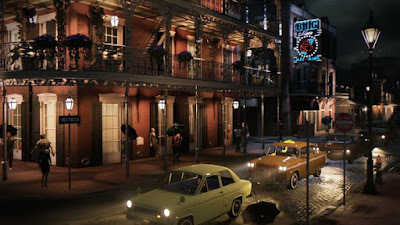 I do believe there are some issues with gameplay and pacing but Mafia 3's impressive narrative, unique setting and characters are worth the trip to the fictional Gulf Coast city, New Bordeaux. Mafia 3 follows the tale of Lincoln Clay, a young resident of New Bordeaux, a fictional New Orleans inspired city in Louisiana. Just like Vito Scaletta from Mafia 2, Clay's story starts for us upon his return from war, coming back a highly decorated 5th SFG member operating in Vietnam. Lincoln was orphaned as a boy and found a home among the black mob of New Bordeaux, looking up to their leader, Sammy Robinson, as a father figure. I do not want to spoil Lincoln's motivations, but due to a series of events Clay sets Sal Marcano, New Bordeaux's crime boss, in his cross hairs. Lincoln Clay is a very intriguing "protagonist", asking multiple philosophical questions to the player about Clay's perspective. 1968 Louisiana was not a pleasant place for a black man, war hero or not. Hangar 13 also does a great job of presenting the sad issue of the state of war veterans upon their arrival home, touching on PTSD and finding work. Clay is a very strong point for Mafia 3, and forcing players into his shoes creates some very emotional points in the narrative. Sometimes I was unsettled by what NPCs would shout at me as I innocently walked into a business, grabbing my TV remote to lower my volume like I was doing something taboo. This was a real and true problem in our country at one point, and I love Mafia 3's willingness to represent these issues. So with the stage set, you begin your plot to take down Marcano by systematically targeting and overthrowing his various criminal rackets throughout the city. This is unfortunately one of the blaring weaknesses Hangar 13's open world game is plagued with. These tasks are 80% missions that become incredibly repetitive. The unoriginal gameplay mechanics do their job well enough and I want to stress that the gameplay mechanics here are not particularly bad, just not very unique and there isn't enough variety to pull too much from these sections. Guns feel alright and dropping goons feels as good as it should, but there's nothing extraordinary to discover as you drive (driving also feels good) to point A, shoot that guy and drive to point B and tell somebody that you did it. These missions serve a purpose but there's far too many of them filling in the time spent between the game's best moments. Once you have done enough damage to said rackets their boss is flushed out, which tasks the player with a more involved and unique mission. This formula continues essentially throughout the entire game, with an incredibly strong ending, that almost makes the entire process completely worth it. While the repetitive filler missions serve as Mafia 3's biggest weakness, the biggest strength here lies in it's incredible narrative. I touched on the setting above, but I cannot praise Hangar 13's writing enough, and I believe it is Mafia 3's saving grace in the grand scheme of things. The prologue of the title sets the stage for a crime drama unlike anything I've played in a video game. Characters are interesting and emotionally realistic and I found myself invested with almost every character represented to me in a cut scene. These characters are perfectly melded into the atmosphere of New Bordeaux to create a story being told with a wealthy amount of depth. The story is told via playing Lincoln Clay in 1968, a documentary-esque cinematic series set place during modern times and a congressional hearing relating to Lincoln's crimes somewhere in between. These 3 narrative scenarios blend together seamlessly to really reach a level of narrative immersion unlike anything I've ever seen in a game like this. 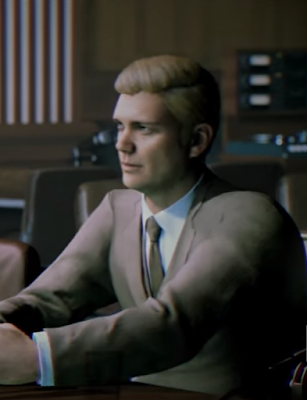 On top of Mafia 3's immersive 1960's setting, it feels like this game had all the tools to succeed on this alone, but chose to run up the game time clock instead. John Donovon, ex-CIA, is interviewed at a congressional hearing regarding Lincoln's crimes. These hearings are splashed through out the narrative and make for interesting insight. 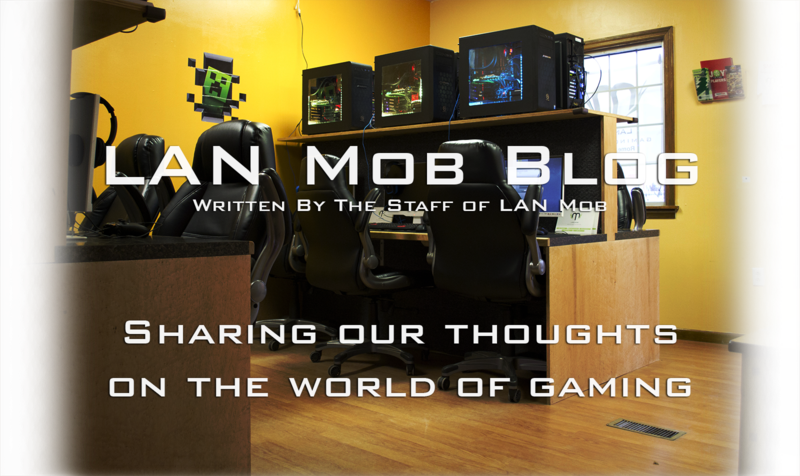 I'm not a huge "open world crime" game player, I never really have been. 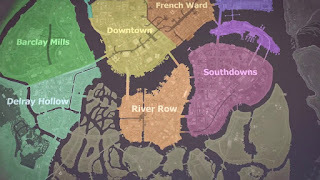 GTA, being the obvious go-to for this specific genre, is something I never really cared for outside of San Andreas. Throughout the years the only games of this genre I really loved were Sleeping Dogs and Saints Row 2. I certainly understand the allure to these titles, exploring an open world engaging in an abundance of side missions and activities. Mafia 2 was along these lines but a lot less of an open world and I honestly believe Mafia 3 would fare better without the open-world formula. Sometimes this formula just leads to a bloat and keeping a title on rails or somewhat open world (Mafia 2) makes for a better experience. The Mafia 3 world map is massive, and while the setting is gorgeous and driving around listening to 1960's Radio and various hits (Johnny Cash, Otis Spann, The Beach Boys, Rolling Stones, and Sam Cooke to name a few) is very cool, a vast majority of this map is entirely unused. Overall, if 1960's southern crime drama is something you're interested in, definitely give Mafia 3 some time. Despite the mind numbing lows, the emotional highs and unnerving/equally beautiful settings make for an experience worth the effort. The absorbing storyline and gripping characters have so much strength and while the mission formula wears very thin over time, Mafia manages to touch on bold and compelling narrative themes. I wish the meat of the gameplay was a bit more remarkable but Hangar 13 needs to be acknowledged for the captivating tale they weaved in their debut title.